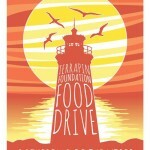 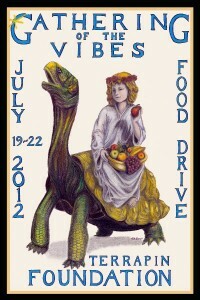 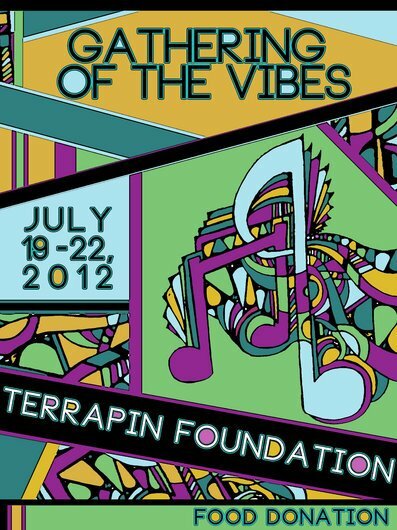 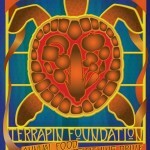 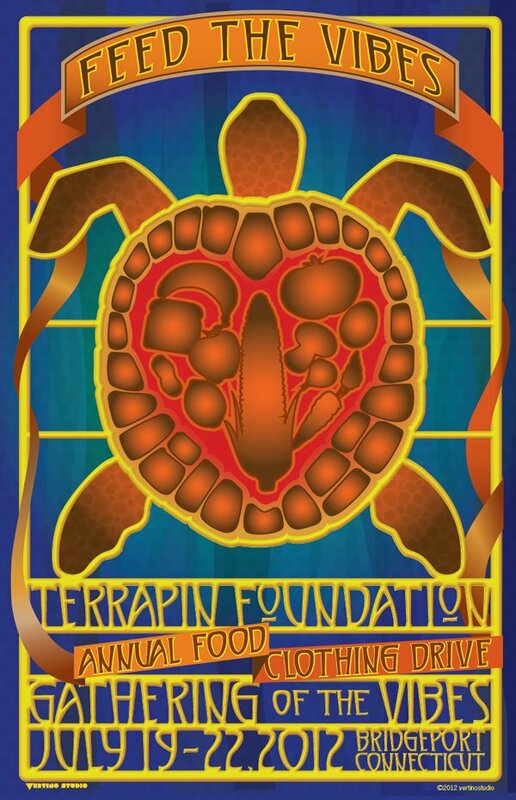 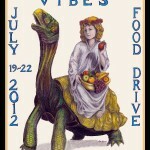 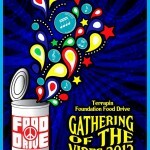 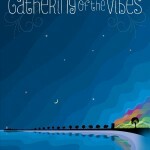 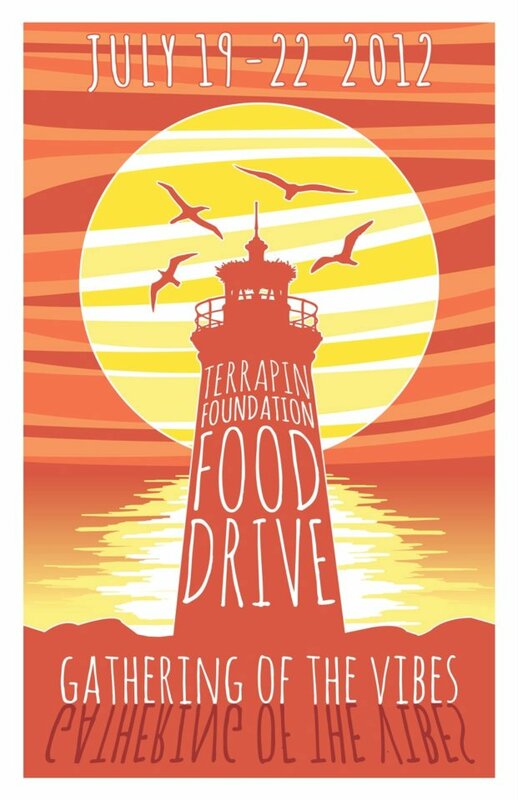 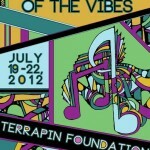 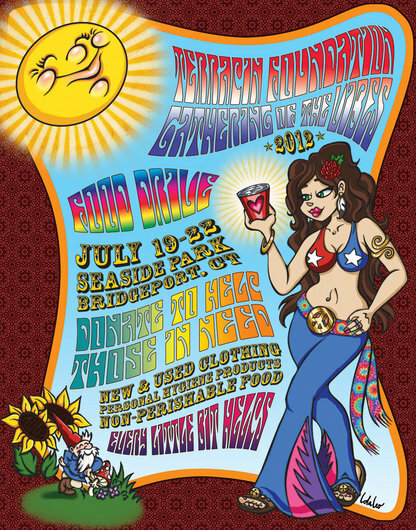 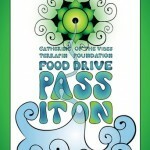 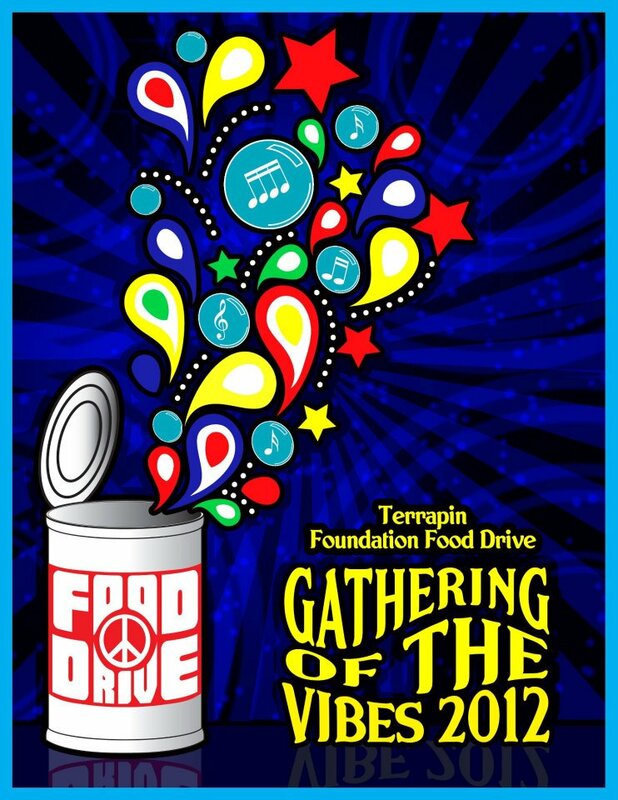 Congratulations to Rebecca Rouse for winning the 2012 poster contest for the Terrapin Foundation & Gathering of the Vibes Non-Perishable Food, Personal Hygiene Product and Clothing Drive. 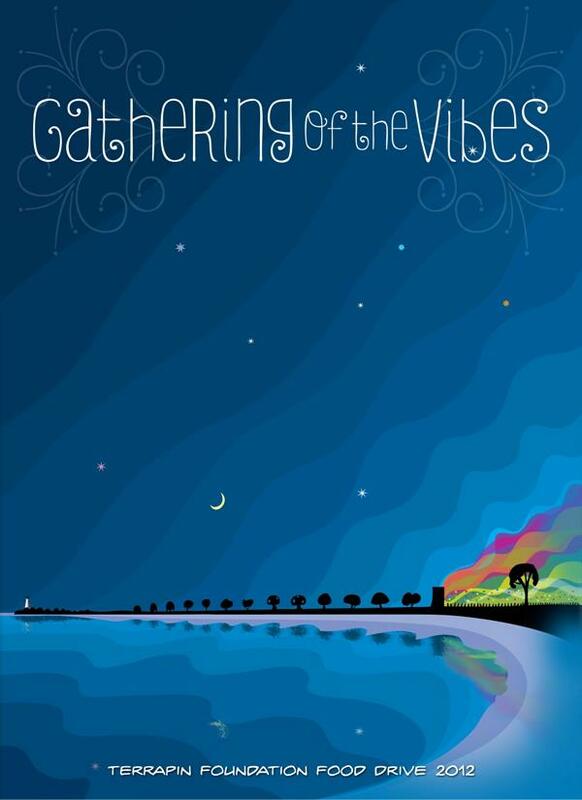 Rebecca’s poster received the most votes amongst the eight finalists and the most votes overall. 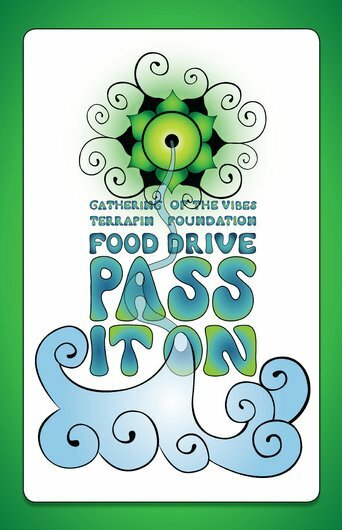 Every person that donated at least 20 items towards the Food Drive (except Ramen – 5 Ramen packets counted as 1) received a high-quality print of this poster, as well as our undying gratitude. 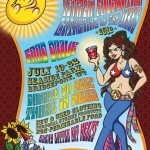 Please join us in congratulating Rebecca! 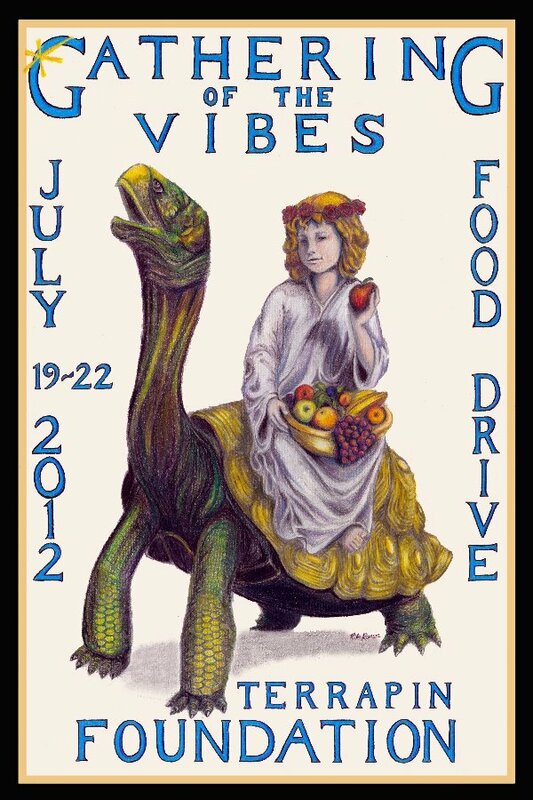 Congratulations are also in order for Lola Leo, who took home 2nd place in this year’s contest.